Young's Scrapping- and other thoughts or creations: DT AND BIRTHDAY BLOG CANDY!!! DT AND BIRTHDAY BLOG CANDY!!! Okay everyone, here's as promised... BLOG CANDY in celebration of my making the Design Team for Above Rubies Studio and my upcoming birthday! Read below for the rules and a BONUS ENTRY! Drawing will be held on Friday, March 12th at 10:00 AM CST!!! BONUS ENTRY: For those of you unable to post on the previous post, I will give until midnight PST tonight to post on both comments for a double entry! Thanks for looking, and have a HAPPY HAPPY TUESDAY!!! Woo Hoo! Blog Candy!! Thanks for the opportunity!! HORAY! THANKS FOR LETTING US KNOW. Oooh congratulations and Happy Birthday! Yay! Great blog candy! Thanks for the opportunity! And Happy Birthday too!!! March is a great month! March is my birthday too. Hi Jennifer, Congratulations! What a great team you are going to be on. I love Above Rubies. I only found them resently. I live in WI too near Madison. Check out my card for Cora. I would love to know what you think. Hi Jennifer, Congrats on making the Above Rubies Studio design team. I can't wait to see the amazing things you're going to make!! Hi Jen! Congrats on making the DT!! I'm a new follower and i'm really liking your creations so far =) I'm off to post this in my blog. Keep up the great work!! Great new blog for me, your kids are adorable! New blogger to your blog. 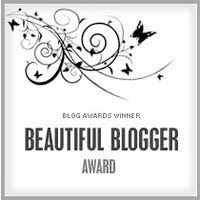 Thanks to Megan :)----To bad I don't have a blog but would love to win the blog candy. So happy for you on DT. Happy Birthday. Hope you have a great one. I just found your blog and cannot wait to explore everything that you have on it. I love your style. Very creative. I am looking forward to seeing what the design team creates. Have fun. Congratulations, on being part of the Above Rubies Studio design team. What a gr early birthday present for you, too. Have an awesome birthday, and thks for letting us know about the blog candy. Congrats and thanks for the chance to win Blog Candy!! Congrats on becoming an Above Rubies design team member. I'm looking forward to seeing what you have to share with us. Congrats on becoming a design team member!! That's AWESOME!! I'm sure you will have a ball and share lots of info with each other and pass it along to us!! Thanks for giving us a chance to win some really GREAT items!! Whooo Hoooo!! Looks like the Design team as a winner. Thanks for invited me. Kudos on making design team - Wow - Rubio Studios - you's in the hot seat now, LOL. I'm looking forward to watching your blog. chance to win some great goodies! Congrats! Looks like we will be working together. Do not include me in your blog candy. I just wanted to support you. I am now a follower. So excited to have new blog to look at. I love your work already, can't wait to see more. Thanks for the chance to win such fun supplies! Love your work and looking forward to future postings you will be sharing. Unfortunately I do not have a blog. But I am a follower. I love your blog. I will be link you blog. Congratulations! I don't have a blog but I am a follower. So glad I found your blog thanks to ARS. 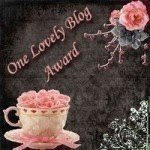 I would like to be entered to win the blog candy. congrats on making the design team!! What an honor. I am looking forward to seeing your work! I'd love to see you do a tutorial on how you colored that card. I'm a little clueless when it comes to stuff like that! Great card with the Prismacolors.....I love to use them....I have added a link to your blog on mine. Please view my blog and become a follower....I am just now getting mine going. I do not have a blog! But, I do intend to become a follower of your blog! Again congrats on the design team membership. Happy birthday! I have to get some of those prisma pencils, I love how they look. Beautiful. TFS Congratulations on the design team membership. Thanks for a great place to come and see what you are up to and congratulations on being a designer. what a treat! Congratulations! Above Rubies is lucky! I am a folllower but I guess I am out since I do not have a blog..congrats and happy birthday anyway!! Congrats on being selected for the design team! Very nice of you to give a gift to others for your birthday!! Happy Birthday and congrats on being a design team member for Above Rubies Studio!! I am posting a link to your blog on mine! Congrads on making the design team! Look forward to seeing all you do. I have posted a link on my blog to yours. Looks like a pile of creativity. What a great thing to do. I have been following Megan for quite some time now and can't wait to see what you come up with for Above Rubies Studio. Best of luck to you. I did become a follower, but I don't have a blog so I attatched your blog link to some friends through e-mail. Wow what a great gift. welcome to Above Rubies I can not wait to see your work. I am new to stamping and look forward to learning more. I did become a fallower so I will keep checking out your blog. and Happy B-day thanks for the chance to win. Congrats on being picked for the Design Team. You are very talented. Congrats on the DT position with Megan! I'm looking forward to being a new follower for you. Thanks for the offer of some wonderful blog candy too! You rock! Love your blog so far. Congratulations on making the design team for the Above Rubies Studio. Megan seems to be a wonderful person. I love her website. She makes a sad day happy with her perkiness. She is always cheerful. Hope I will be to luck gal to win the wonderful giveaway.It looks great! This is great!!! Congrats on your placement to DT. I have posted a link in my blog. Thank you for giving me the chance to win. Wow! that must be awesome to be picked to be a member of a design team...Way to go!!!! I love your blog and seeing the different tools and techniques you are using. I have never tried Gamsol, not sure I can even get it where I live, but I've seen a lot of sites that use this product. Thanks for sharing your talents and letting us take a peak at the things you enjoy making. CONGRATULATIONS!!! Don't know WHEN you have time to do so much with 3 children!! Way to GO!!! HAPPY BIRTHDAY!!! I linked you on mine. Love the cards! Congratulations on making the team! Great Blog Candy!!! Thanks for the chance to win. I love the background on you blog Jen. congrats on becoming a DT member of Above Rubies Studio and thanks for the chance to win this blog candy. Congrtats on joining the DT. What a honor. Thank you for giving us a chance to win all that candy, and do I love candy. Congrat's on making the design team!!! Look forward to seeing your wonderful creations!! Thanks for the chance to enter...Will post on cricut.com!! Congratulations. Thank you for the chance to win such great prizes.